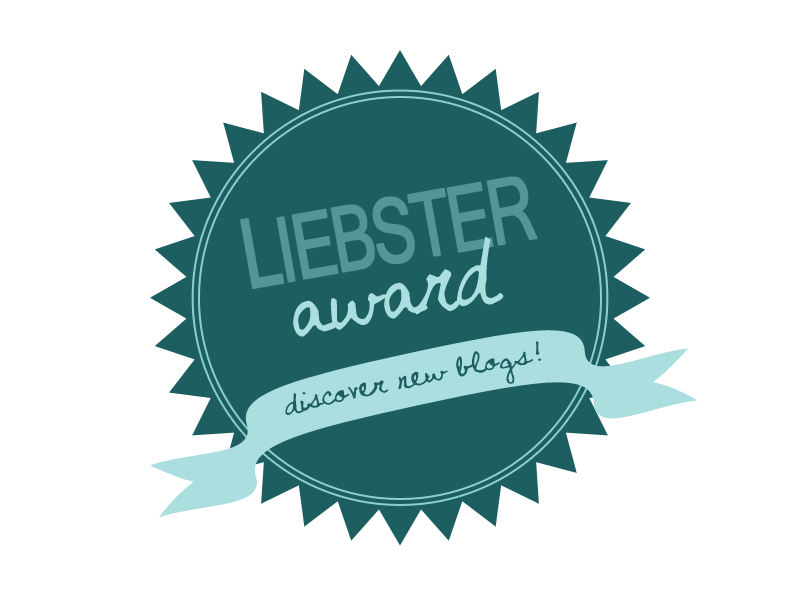 Earlier in the month I was nominated by Jamie from The Accidental Nomad for the Liebster Award! Thank you, Jamie, for the nomination! As Sally from A Breath of Foreign Air puts it so well, the Liebster Award is basically a "glorified chain letter". While I would like to think that the Liebster Award isn't given out to any old blogger, the criteria/qualifications are a bit fuzzy (read: nonexistent). But it's a great way to get to know other bloggers and build a community, so here we go! Here are the Liebster Award “rules". 1. Acknowledge the blog that nominated you and display the award. 2. Answer 11 questions that your nominator gives you. 3. Provide 11 random facts about yourself. 4. Nominate 5 blogs that you feel deserve the award, and that have a less than 1,000 followers. 5. Let the bloggers know you have nominated them, and give them 11 questions to answer. 1. What’s the best piece of advice you’ve ever gotten? I think a really important piece of advice is to spend your life doing what makes you happy, without caring what other people think/do in the society in which you live. You might have to go against the grain, but you only live once and those precious days should be spent doing what you enjoy, not living by someone else's expectations. 2. What’s one of your best/favorite memories? I'm having trouble even narrowing it down to a year, as the memories are all so distinct, so I'll just pinpoint two periods of my life: First, as a college student I had an amazing work environment at my job. My co-workers are still my good friends today, even though we're all in different places. But when we got to see each other every day, all sharing an open office with three work stations, boy did we have some good laughs. My other "golden" year was when I studied abroad in Spain. I was in the honeymoon phase all year, due to both the new-ness of my sunny, Spanish surroundings (first time I left the USA), and also the close group of friends I had that year, from my study abroad program. I have fond memories of that time, though we're all in different places now. 3. What’s one book everyone should read? 4. What’s your favorite country? Probably that fermented fish I ate here in Korea this past weekend. It smelled like ammonia. Other than that, is it strange to eat sand? When I was younger I liked the feeling of just a bit of sand in my mouth, hearing the crunching sound. So I guess I'd take some from the sandbox and put it in my mouth. 6. What’s one thing you’re glad you did, but would never do again? I'm glad I did the full body scrub in a Korean jjimjilbang (got scrubbed down by a half-naked Korean woman when I was lying naked on the table), but I won't seek it out again in the future. 7. What’s the first thing you do when you arrive in a new place? I like to walk around whenever I go somewhere new. Explore by foot with no destination in mind, become acquainted with my surroundings. I never fail to stumble upon something interesting. 8. What’s the nicest thing a stranger has ever done for you? I'm having trouble recalling a particular instance, though I know strangers have certainly done nice things for me - especially while I was traveling. The most recent experience would be the nice ladies who work at the kimbap place next to my grocery store. I keep going back because they smile and are patient with my limited and slow speech. 9. If money wasn’t an object, and you could do anything at all, what would you do? See the world, but I'm going to keep doing that even on limited funds. I look up to many of my friends and family; they each possess different skills and traits I admire. I have a few sixth grade students this year that I really looked up to as well, as they're much more self-assured and fearless than I ever was as a sixth grader. People, knowledge, and nature inspire me. The good that people are doing, and the vastness of this world. It is so complex, with all of the cultures, languages, towns, architecture, history, politics, nature, and so on. It's almost hard to grasp. Yet we all can feel the effect of a smile and a laugh. Throw in all of the creatures and plants and you've got a truly wondrous place. I'm inspired to explore this world, meet passionate people, share knowledge, and appreciate nature's beauty. I met Abby the day before I flew to South Korea, as she is also teaching English through the same program as me. Her creativity is refreshing, and her writing never ceases to impress me. Hannah is the treasure I was lucky enough to meet my second year in Spain, and who I've called a best friend since. (She's the one I visited in Canada last summer, and will visit in London this fall). This girl is strong and driven, currently an ultimate-playing writing expat in London. James is from my middle/high school hometown, and he lives in New York City. He is dedicated, passionate, talented, and bold, and his blog is so incredibly honest. I have no idea how (nor exactly how many years ago) I first happened upon Marissa's blog, but I've been following it ever since (which says something about her blog). Raised in Austin, TX, Marissa moved to Pittsburgh from Chicago in 2011. I found Soren's first blog two years ago while he was teaching in Korea and I was teaching in Spain. Now he lives in New York, and writes weekly (if not more) at Culture Glaze. 1. Who is your favorite fictional character? 3. When you were six, what did you want to be when you grew up? 5. You have to sing one karaoke song. What song do you choose? 6. Describe your ideal Saturday. 7. What is one goal you are working to achieve? 8. What's the best view you've ever seen, or your favorite to see? 9. What's a skill or hobby you've always wanted to learn/take up, but never have? 10. What's a movie (or two) that everyone should see? Should you choose to accept, I very much look forward to reading your answers! Awesome :) I think eating sand is pretty normal for a kid... my little brother used to eat rocks. He'd sit in a gravel pit or on the beach and find the roundest rocks he could and then eat them. Weird kid. Also, I *love* Bill Bryson... "In A Sunburnt Country", his travelogue about Australia was just fantastic. Yeah I really love Bryson's books, though "In a Sunburnt Country" is one of his that I actually haven't read yet!